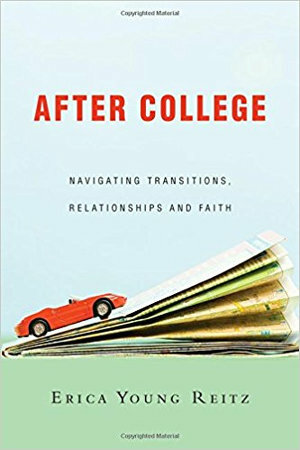 “The first year out was one of the hardest years of my life.” ―Curt The years after college can be some of the most uncertain, unstable times of life. Recent graduates grieve the loss of community, question their place in the world and struggle to find meaningful work. It can be shocking to discover that college did not fully prepare you for the challenges you now face. “It’s much rougher than I thought. I thought things would just play out, and they didn’t. I don’t have friends, I don’t have a job and I hang out with my parents every night.” ―Kate But you are not alone. For more than a decade, Erica Young Reitz has specialized in helping college seniors and recent graduates navigate the transition to postcollege life. Drawing on best practices and research on senior preparedness, she offers practical tools for a life of faithfulness and flourishing during a critical, transitional time. This practical guide addresses the top issues graduates face: making decisions, finding friends, managing money, discerning your calling and much more. Discover how you can thrive beyond your undergraduate years. If you feel lost in transition, here are resources to help you flourish as a Christ-follower in a complex world.